Gás de Alagoas S.A. (Algás), a natural gas trading company which operates in the Brazilian state of Alagoas, has hit a winner with its “GNV é mil” promotion. The initial offering has been fully subscribed and now a second CNG conversion offering has been introduced. 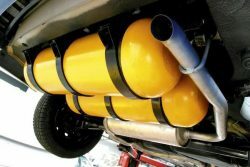 Initially valid until March of this year, the initiative reached the mark of the 150 CNG vehicle conversion kits in the month of December 2018. Algás decided the response was worthy of a second round of grants with a new closure date set for June. 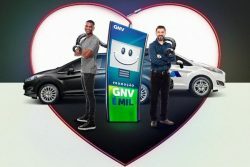 ‘With “GNV é Mil”, the next 150 drivers from the Brazilian state of Alagoas who install the 5th generation conversion kit and new cylinders in their vehicles will receive a bonus of 1,000 reals (USD 266) from the company. 6th generation conversion kits are also approved under the scheme. Algás’ commercial manager, Fabio Sousa, reinforces CNG’s economy. “Natural gas remains the most economical option for drivers who are travelling a lot, mainly because of the constant changes in the prices of gasoline and ethanol,” he explains. To ensure the reliability and safety of the kit, the installation must be performed in workshops accredited by the National Institute of Metrology, Quality and Technology (Inmetro), where all standards established for the segment are followed strictly. The incentive concession is delivered in the form of a Credit Card Award, to owners of motor vehicles registered in the state of Alagoas who install, in their vehicles, the CNG fuel system.